Even in Fantasy Hero worlds where magic exists and characters can rules kingdoms, sometimes a hero needs just the right equipment to get the job done. That means magical items - weapons, armour, staffs, and other objects with enchantments placed upon them to give them power. 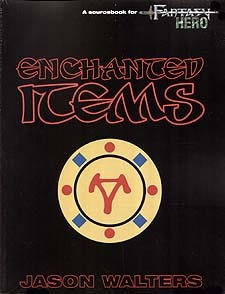 Get ready to put new elements of wonder, mystery, and magic into your campaign with Enchanted Items!